Kiix̣in was the home of the Huu-ay-aht ancestors for more than 5,000 years, and is the only known remaining complete traditional First Nations village on the southern B.C. West Coast. 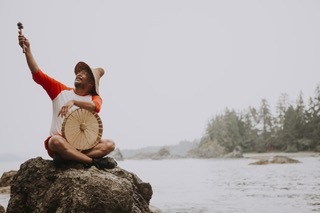 Though the National Historic Site has lain dormant for more than 300 years, the Huu-ay-aht First Nations has brought Kiix̣in back to life as an authentic tourism experience that brings visitors intimately close to the region’s culture, history and nature. 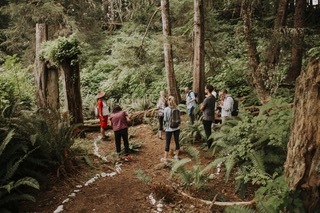 During the Kiix̣in experience, guests hike the trail to the site, exploring Vancouver Island’s pristine old-growth rainforest and beautiful protected beaches. Along the way, guides will share Huu-ay-aht’s knowledge, history, and culture, weaving stories that transport guests back to Kiix̣in as it first stood. Once they have reached the site, visitors will see significant standing remains of the original fortress, where 15 to 20 original longhouses once stood. 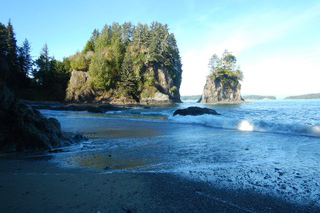 Each tour to Kiix̣in lasts approximately three hours and is guided by Huu-ay-aht traditional knowledge holders. The tours are now available to book up until September 30. Please note that it is a moderate hike to Kiixin, unfortunately people with mobility challenges and children under the age of seven cannot be accommodated.